The downward trend continues – According to the monthly TRAI data, total pan-India subscriber base fell to 906.6 million in month of September 2012. This the 3rd month consecutively that the mobile subscribers have dropped in India. Take a look at Mobile subscriber additions over past 18 months. Before March 2011, mobile subscribers were getting added at an average of above 15 million every month. However, as you can see the scenario has drastically changed over past 18 months. 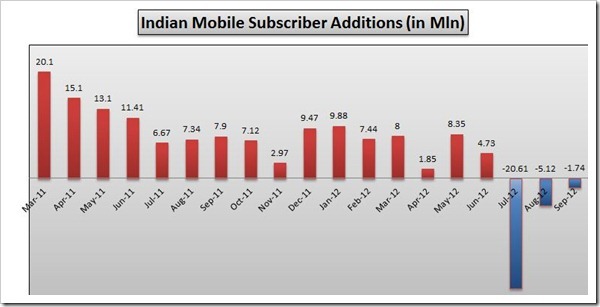 – Indian mobile subscriber numbers fell by 1.74 million in September 2012 bringing the total tally to 906.62 mln. – Urban India witnessed a fall of 3.44 mln subscribers, while mobile subscribers in Rural India grew by 1.74 mln. Rural monthly growth rate was 0.51% as compared to negative urban growth rate of-0.60%. – Out of total 906.62 million, 698.96 mln were active mobile subscribers in month of September 2012 (Peak VLR data). – 2.6 lakh new Broadband subscribers were added in month of September taking total tally to 1.51 crore. – Wireline Subscriber base stands at 31.08 million. 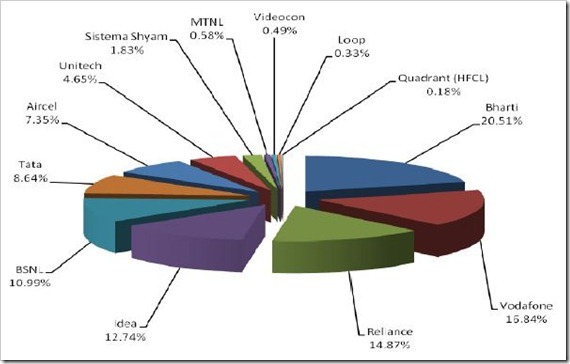 – India’s total telecom subscriber base (wireless+wireline) has fallen to 937.70 mln. Unlike previous couple of months, in September 2012, most of the major mobile operators showed negative growth, with exception of Aircel, BSNL and Reliance. 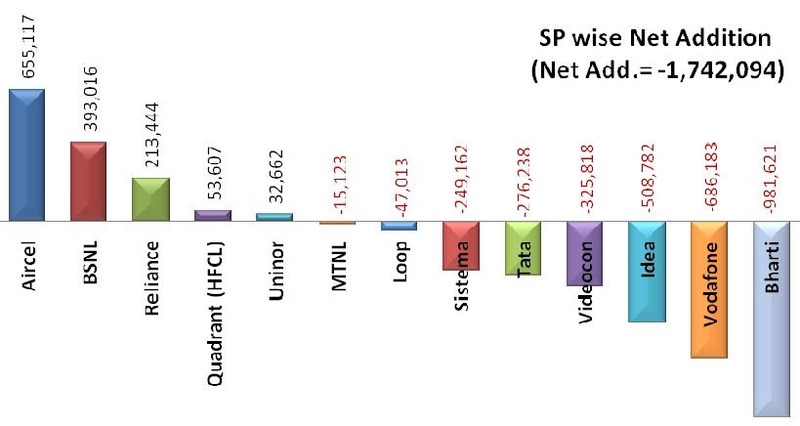 Bharti Airtel saw the biggest fall with loss of close to million subscribers, followed by Vodafone (-636k), Idea (-508k), Videocon (-326 k) and Tata (-276 k). 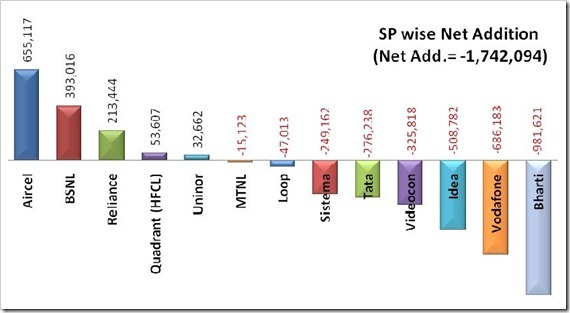 Aircel topped the chart adding 655k subscribers followed by BSNL and Reliance. Even though it had fall in subscribers, Bharti Airtel extended its lead in India with 20.51% market share. Reliance’s huge fall last month saw Vodafone taking the second position. 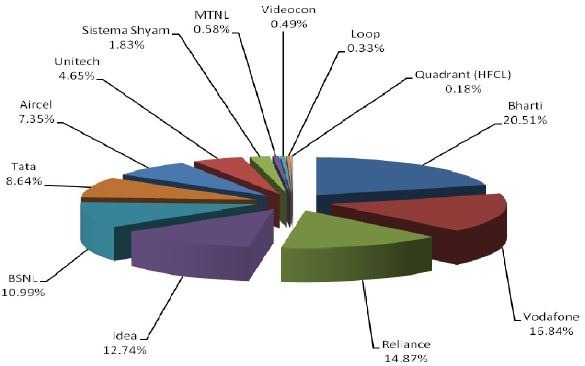 Vodafone has 16.84 Indian market share as compared to Reliance 14.87 percent. Facebook Promoted Posts – Its More than what meets the eye!